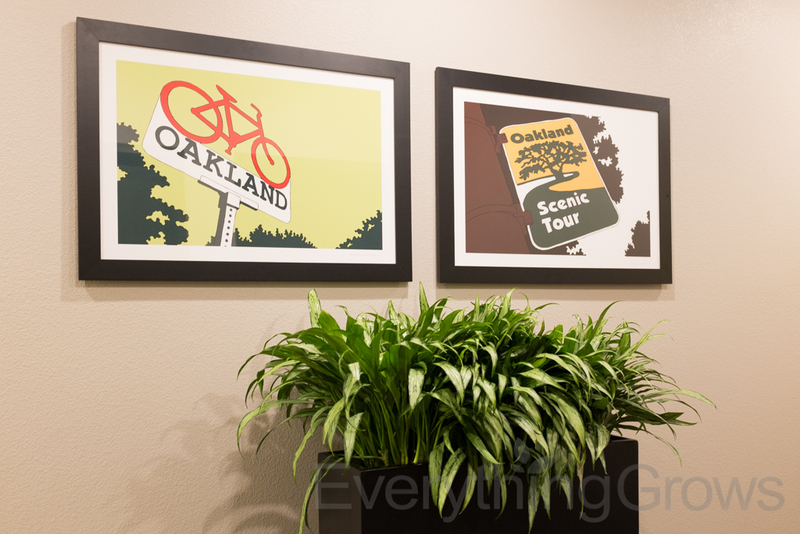 Everything Grows Interior Landscaping recently added these beautiful, lush tropical plants to this Oakland California apartment community's common areas and model home. These lovely plants added the finishing touch to the interior design. Live plants in these common areas added a touch of softness, enhanced the color palette and added further texture to the space, enhancing the fine architectural lines found in this upscale residential development. 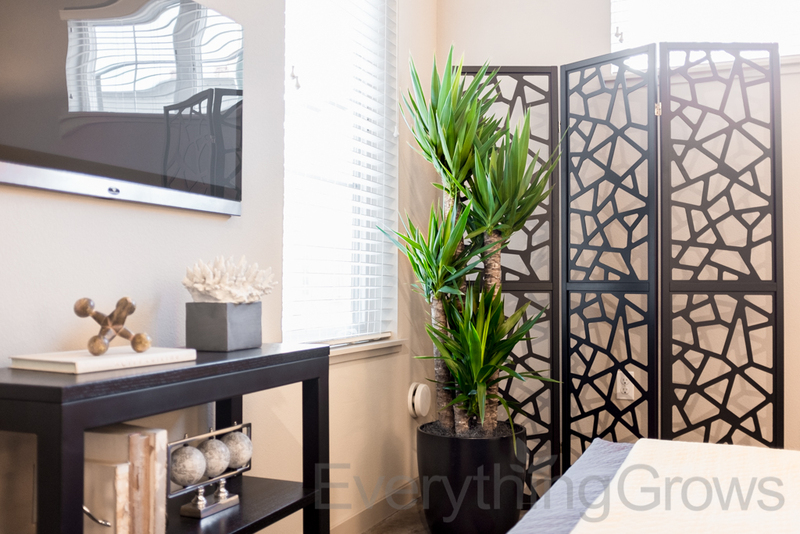 Sansevieria Zeylanica (above) being used as a divider between the work area and the sitting area. Earth Walls Make Great Room Dividers! 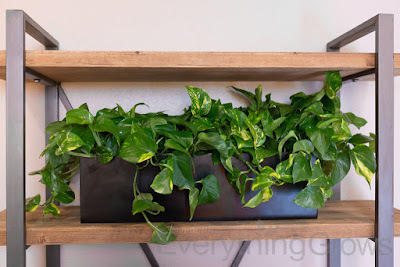 Everything Grows' Earth Wall plant container product line is a great way to partition off areas and are very popular in open floor plan office space. They come in many sizes and colors and we can even add wheels for easy reconfiguration. Are you Interested in adding some lush, tropical plants to your commercial workplace? Let one of our experienced designers help you get started! We offer complimentary consultations and design services. Contact Everything Grows today and one of our designers will be happy to assist you! Rhapis Palms are one of the more exotic and beautiful plants that we place indoors. They need good light, and a lot of water and nutrients to thrive. They are one of more expensive plants to place, in part because they take so long to grow. A 5 foot tall Rhapis palm takes about 5 years to grow. Rhapis are fairly slow growing plants. The rule of thumb is that Rhapis grow about 1 ft per year, which I why they are one of the more expensive plants in the industry. However, their flexibility and longevity make them worth the wait. We at Everything Grows work with tropical plant Nurseries and growers in California, Hawaii, and Florida to bring you the best quality indoor plants. 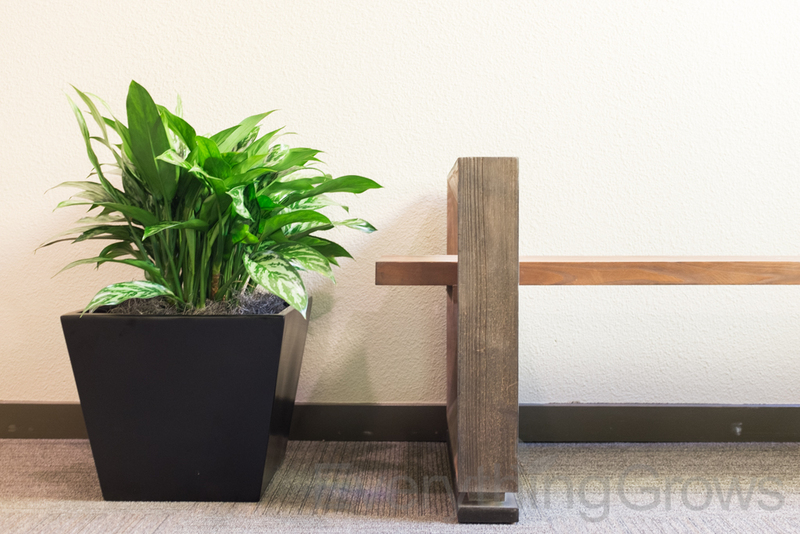 Are you Interested in adding some lush, tropical plants to your commercial workplace? Let one of our experienced designers help you get started! We offer complimentary consultations and design services. Contact Everything Grows today and one of our designers will be happy to assist you! 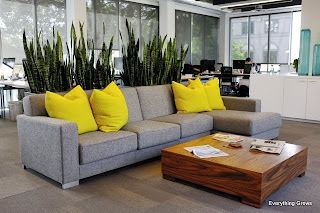 Interested in adding some lush, tropical plants to your commercial workplace? Let one of our experienced designers help you get started! We offer complimentary consultations and design services. Contact Everything Grows today and one of our designers will be happy to assist you!